Education Collections allow us to curate the most relevant online resources related to specific NOVA programs. Use this collection of resources as a source of inspiration for your classroom: find a video clip to start a discussion with your students, incorporate an activity or demonstration into your class, or get some ideas about how these resources can be strung together with our example lesson plan. NOVA's "Hunting the Elements" shows viewers the world of weird, extreme chemistry. The media resources below allow educators to explore the periodic table in detail with their students—from its basic structure and properties to the sometimes volatile behavior of specific elements. Use this periodic table poster as a visual aid in your classroom. Use this periodic table handout as a reference for your students, or as an activity where students can color code the element groups. Learn how the periodic table developed its current form when Dmitri Mendeleev organized the elements by families with similar properties. What Makes an Element Reactive? Learn why some groups of elements on the periodic table are more reactive than others. Examine how elements form compounds by watching two sodium reactions: a spectacular explosive reaction with water; and an exciting reaction with chlorine. 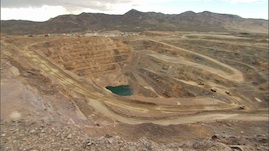 Hear how rare earths are often used in technological applications and visit a rare earth mining site to learn more about where they are mined. Investigate the radioactive elements located at the bottom of the periodic table, and watch as ping-pong balls and mousetraps are used to demonstrate nuclear fission. Explore how isotopes of carbon can be used to determine the age of once-living matter. 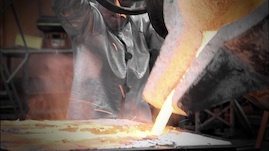 Find out how copper is typically alloyed with tin to make bronze—a metal alloy widely used in tools and weapons during the Bronze Age and still in use today. 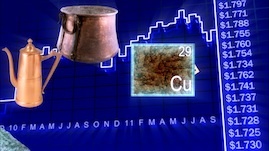 Find out about the valued properties of copper and how its price is an economic indicator. Explore the periodic table, and build atoms and molecules in this web edition of the NOVA Elements iPad app. Use this lesson plan in your classroom - or as inspiration for creating your own "Hunting the Elements" lesson plan. 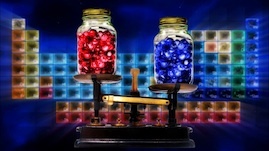 Watch "What Makes an Element Reactive?" 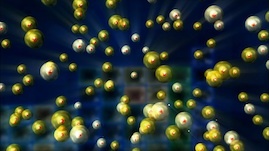 Use this video to help students understand how atomic structure determines reactivity. Meet Theo Gray, chemist and author, who helps David explore how the electron configuration of an atom affects its ability to combine with other atoms. Discover why noble gases are not reactive and why halogens and alkali metals are highly reactive. 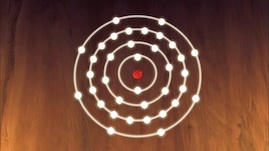 Build atoms using the "NOVA Elements iPad App"
Using the interactive periodic table, have students build one atom from each of the groups discussed in the video (either individually or as a class). 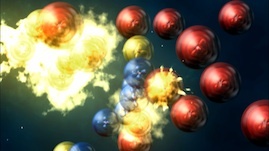 Discuss what an atom is, what each atomic model looks like in space, and the different atomic structures - including the organization of the electrons, protons, and neutrons of each atom. Watch "How Elements Form Compounds"
To help your students learn more about how elements react with each other, watch this video that investigates chemical reactions involving sodium. Find out how the electron configuration of sodium, an alkali metal, makes it a highly reactive element. 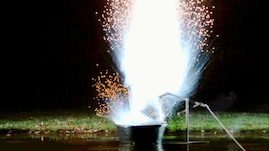 Meet chemist and author Theo Gray, who demonstrates two sodium reactions: a spectacular explosive reaction with water; and an exciting reaction with chlorine, a highly reactive halogen. Examine how sodium and chlorine atoms combine to form the compound sodium chloride (ordinary table salt). 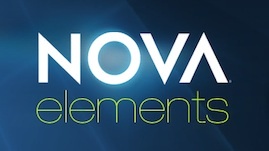 Funding for NOVA is provided by David H. Koch, the Howard Hughes Medical Institute, the Corporation for Public Broadcasting, and PBS viewers.